Here is a video to that is ment to inspire you to do this trip! 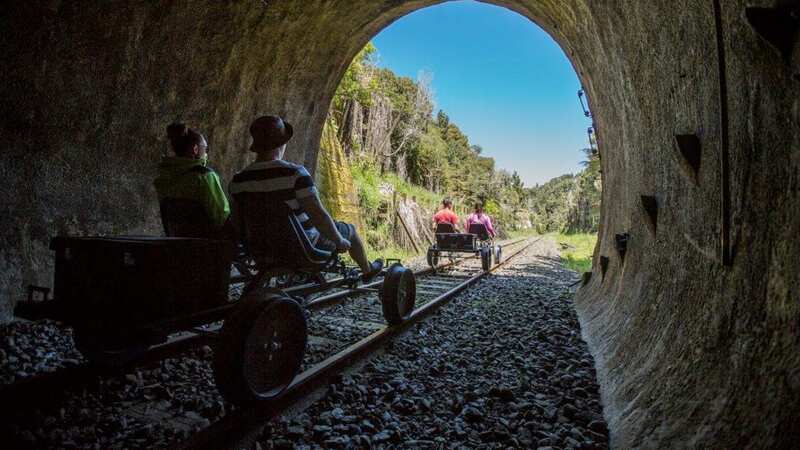 Between Tokirima and Okahukura, Forgotten World Adventures arrange extravaganza rail experience in a golf cart converted. So! What these happy Sunday people did is something that Forgotten World Adventures does have. So, these couples had their time of their lifes last Sunday with a person that even took his time telling the visitors about the train line. The people who settled this area were hardy pioneers, isolated in their remote communities. The line was an essential link to the outside world and sawmills, coal mining and farming were only viable because of the rail connection. Evidence of the 15 stations along the line is still visible but the bustle of transporting stock and supplies is long gone. Until 1983 passenger trains also used the line but improved roads and transportation options, as well as the SOL being notoriously difficult and expensive to maintain, its days were numbered. A partial derailment in 2009 that damaged a significant section of the track initiated a decision to mothball the line. So, now parts of this line became a tourist thing only. The wagons are funny. You can do tour with pedals railway trains or you can go with converted Golf Carts. However! This nature and surroundings should be electrified and the government of New Zealand should preserve what it got here. If this line got electrified and restored the right way, it would mean a lot. Forgotten World Adventures delivers tours in many different difficulty categories. The shortest ones are upto 3.5 hours, with a Golf cart rebuilt passenger train that runs by itself while there are padle tours with a distance of 40KM with 10 tunnels that is a real challenge trip. Here I would advice people that are used to bike to go for the longer pedal ones. However! The longest trip tour package that they have is called “The Ultimate”, which is 142KM long. 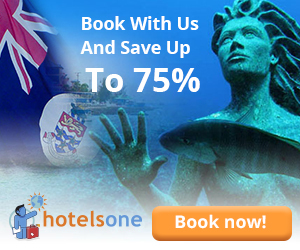 However this one is Easy and it also includes an overnight stay in Whangamomona Hotel. With this trip you pass 24 tunnels, cross all of the 98 bridges and see the remnants of the original settlements along the line. The prices is also set per person. So, if you want to find a unique experience in New Zealand, then this is for sure a trip that you should do if you have the time. . So find the package you want and what date is most compatible etc and you’r of for experiencing a lifetime experience. The prices might be a bit high. However!… The history of this unique landscape will resonate as you absorb the stories and relive the memories of New Zealand’s pioneering past with this two-day journey back in time. The ultimate experience. You can park your car at the place. It’s also good to know that its free of charge. Also, you can take the train to Taumarunui Station. So, there are possibilities going here without a car which is great. It seems like Taumarunui is a very calm place with beautiful nature surrounding it. 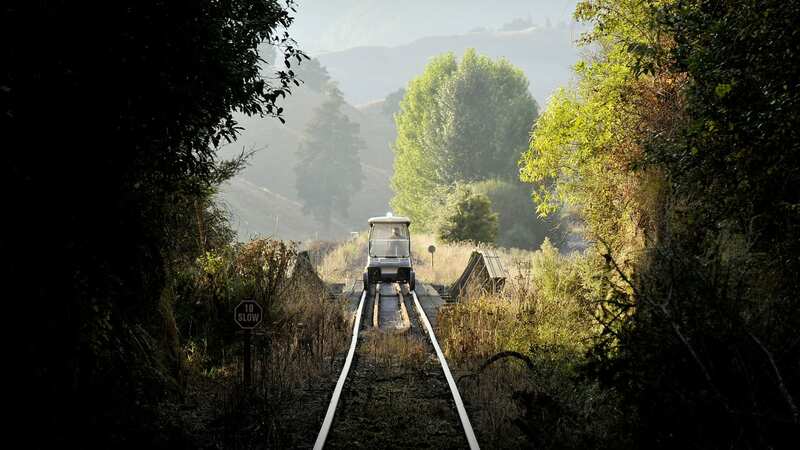 photosource: forgottenworldadventures.co.nz – Here is one of the Golf carts that is made to work on these tracks of an railway that is no more. Great experience for sure! Note: All of the written text here is totally independent. Distrita haven’t got a single penny to write about this, but because of me finding a video about this adventure on YouTube. I decided to write an article about it. So, I also included links so if you goto New Zealand its a adventure tip for sure.